Like new 2 bed/flex/2 bath 1,922 sq. ft. home with preserve view in the front and preserve/water view in the rear. 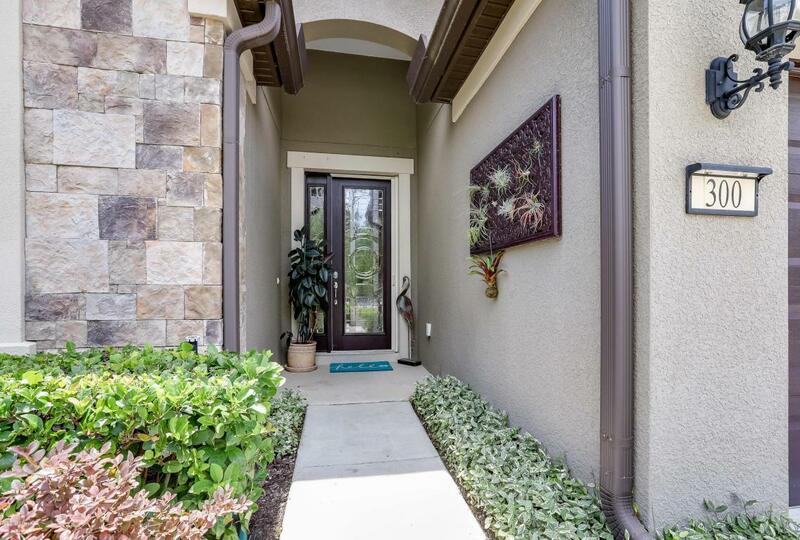 Quiet low traffic street nestled in one of Del Webb's 55+ finest neighborhoods, Hammocks Landing. Home features include: crown molding, luxurious appointed kitchen with staggered upgraded cabinets, food prep island, refrigerator stays, eat in area with preserve view, custom desk/shelves built into kitchen cabinet arrangement, granite counter tops in kitchen, large gathering room, upgraded light fixtures, laundry room with sink, washer and dryer stay, block construction, safe room, storm shutters, over sized guest bedr. 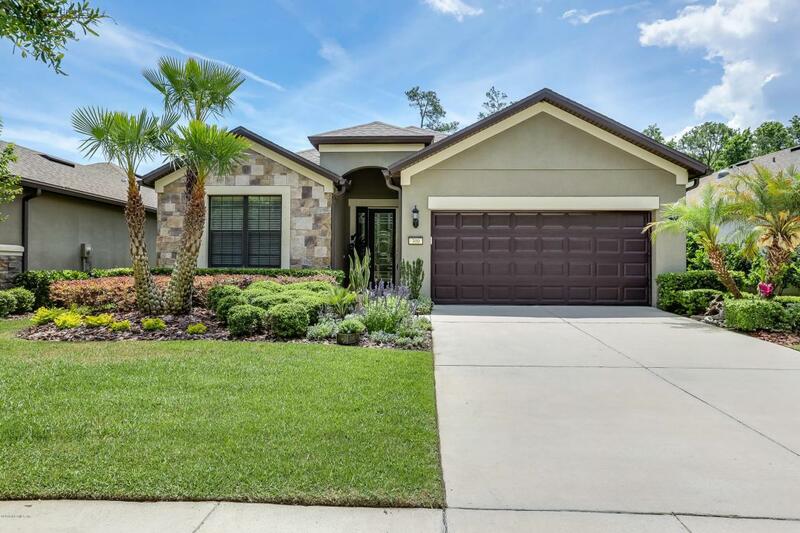 with walk in closet, tub/shower in MBR bath, tile, carpet, water softener, mature landscaping/lawn with palm trees and stone exterior trim on front of house.Come enjoy the Del Webb lifestyle today. The $14.2M clubhouse is loaded with amenities to meet your every need. Activities include: Pickleball, Tennis (clay courts), Bocce Ball, swimming in the indoor and outdoor pools, wet and dry saunas, relaxing in the hot tubs, Yoga, Water Fitness, exercise equipment, Fitness Classes, billiards, Canasta, Poker, Bridge, Bunco, Mah Jongg, Pinochle/Euchre Club, dance instruction, acting/dancing/singing in the Performing Arts Club, Travel Club, Photography Club, Musician's Forum, Bible Study, Shalom Club, ceramics, beading, Book Club, Bid Whist, Apple Users Group, Dinner Club, Garden Club, Men's Club, Women's Club, Fun and Friendship Club, pool volleyball, Sausage Making Club, stitchers, Ping Pong, Wine Club and Writer's Group. You can participate in as much or as little as you desire. 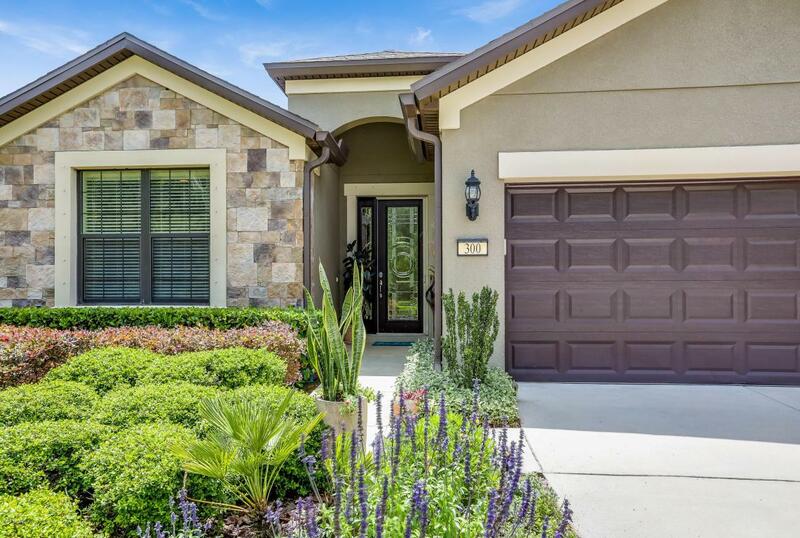 Friends, fun, activities, social events and a healthy lifestyle can be yours today in Del Webb at Ponte Vedra. This neighborhood is a short drive to the beach and nearby restaurants and shopping. 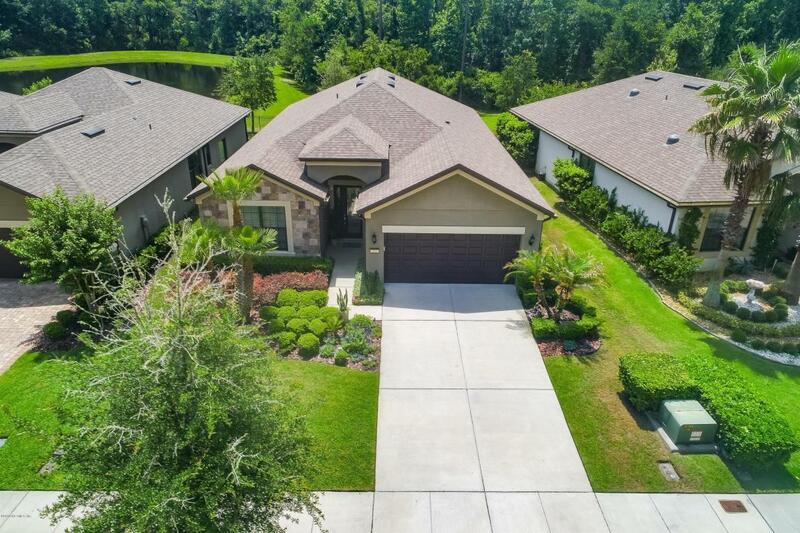 Nocatee Splash Park, pools, and other amenities are included with Del Webb ownership. Bedroom2 Room Remarks Walk in Closet. Fits For King Size Bed. Master Br Room Remarks Preserve View.